Welcome to Contact Singles, leader of singles clubs in London. We have been going since 1994 and our club has grown into one of the biggest singles social clubs in London. 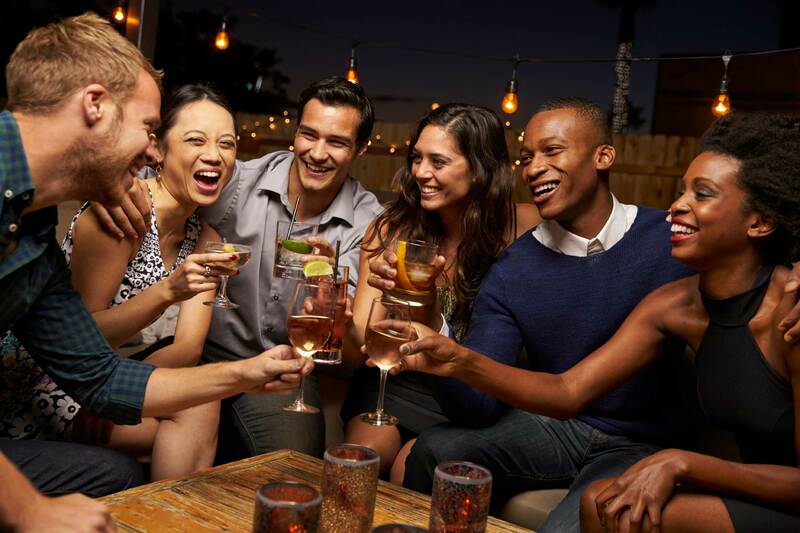 We hope to see you at one of our London singles events soon where we offer singles parties at bars and hotel venues with introductions in mixed groups at the bar and our optional Socialising Circle 7.45pm - 8.30pm followed by a party with our amazing DJ. We have the most sociable, cosmopolitan group you'll ever wish to meet! We usually reach max 250 at our bar events but a much bigger number at The Conservatory where numbers are always over 400. So many couples have met since we started and so many people have found long and lasting friendships. We still see some of the couples who have met at some of the major events in London as we are very much a social club where people like to go out dancing within their age range which is more 35 - 55. Every event is run by a Contact team of 5 - 6 people concentrating on introducing new members so they feel comfortable. Male and female members are introduced in mixed groups and we always ensure that our ladies are also introduced to plenty of other single ladies so they feel comfortable. We can put ladies in touch with ladies in their area via our female networking service beforehand so they have someone else to come with to our events. It is worth joining our female networking Meet Up group if you would be coming alone. You can put your profile on for free at https://www.meetup.com/London-Single-Females-United/ . There is no joining fee to attend our singles events in London. You do not need to join the online dating site to simply attend a party. We are told by many members attending events that they prefer to meet people in person and they come to events for the social element and not just to meet a partner. Many just love dancing and making new friends and that is the difference with joining a social club such as Contact Singles. We also have an online dating site for those too busy to make events and this covers the whole of the UK with over a 5.5 million database. This is totally separate to our events we must add.